My daughter and I got at 3:30 am on Friday, Nov 28 to go to all the sales. We started at Kohl's. I had a list of what I wanted and we were in and out of there in 35 mins. No lines for checking out. We then crossed the street and went to WalMart for their 5:00 am opening. Scoped out the place got everything we wanted and then we went to check out...again no lines and made our purchases. Left there and went to eat at McDonalds cuz they were the only place opened that you could go in and sit down at 5:45 in the morning. Next stop Michaels. Again another success...got everything I wanted there, no lines. Next over to the mall and hit several stores in which Sarah had much success. I do not like shopping for clothes, so I just followed and puchased her items. Lots of sales!!! Then on to Old Navy. We spent way too much there, but I bought both Robert's (my son) and Sarah's Christmas gifts AND I got a new jacket for only $50.00.!! Then we went to Target...that was a dud cuz they really did not have anything we wanted there, but needed essentials. OH! I also went to Bed, Bath & Beyond and bought a few stocking stuffers there. We did all this and were home by 10:00 am. 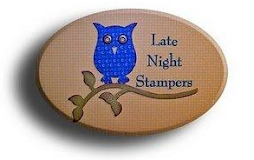 I had a Dr appt and then came home and took a nap for about 2 hours before heading out to the LSS to go stamping. It was a very successful day!! !